EGU 2016 will be held in Vienna | Austria | 17–22 April 2016. ENVRIplus will have its own exhibition booth G#08. You can find the booth in Exhibition Gallery, Green Level 1 (first floor). 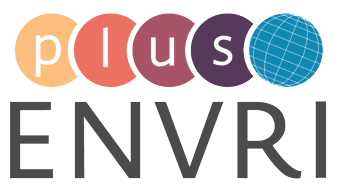 ENVRIplus booth will serve as a meeting place for the ENVRI community to discuss the project, collaborating Research Infrastructures as well as other specific topics – see the detailed programme of the booth and plan your visit. You will meet and talk to people about the topic that interests you (whether it’s a specific Research Infrastructure, Domain or Theme). ENVRIplus partners on the other hand can utilize the booth to present their Research Infrastructure or any other specific topic. Moreover you can pick up there your own ENVRIplus coloring book together with a set of pencils and learn more about the ENVRIplus and collaborating environmental research infrastructures. ENVRIplus will also organize a Townhall meeting meeting for research infrastructure users on Thursday, 21 April, 19:00-20:00 (room – 2.85). Last but not least, there will be a Splinter meeting (by invitation only) dedicated to ENVRIplus on Thursday, 21 April at 13:30 – 15:00 (room 2.96). Below you can find the list of other sessions of possible interest for ENVRI community. More sessions can be found on EGU 2016 website. ESSI2.7 The Networks of Earth Observation, its coordination at european level and its gaps. ESSI3.8 Citizen-empowered science and crowdsourcing in the geosciences. BG2.5 Greenhouse gas measurements in Africa – developing a continental-scale measurement network. GI2.4 Scientific Exploitation of Copernicus Sentinels. ESSI3.10 Tools and platforms for making remotely sense data easy to use to geoscientists.